We'll help you save on AIG Insurance! It’s important to have options when comparing personal and business insurance solutions. This is exactly what AIG Canada offers. Whether you are an individual seeking personal insurance coverage or a Canadian business comparing your options to protect your company from risk, our insurance brokers can help you find the perfect level of coverage at affordable rates. AIG has provided Canadians with individuals and business insurance solutions since 1966. 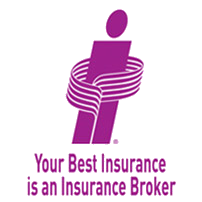 They are one of the country’s leading property and casualty insurance companies. Federally licensed to provide insurance solutions in all provinces and territories, the company services individuals and businesses from coast to coast. The company also operates in more than 100 countries worldwide. With more than 400 employees, 18,000+ claims managed, 30,000 customers, and more than $4 billion in assets, the company is well positioned to serve Canadians’ diverse insurance needs. Diverse Business Insurance Solutions : AIG offers one of the largest business insurance product portfolios, ensuring you’ll have access to the coverage you need, regardless of the type of business you operate. Innovation : AIG was the first Canadian insurance company to offer environmental liability coverage in 1994, and the first to offer cyber liability coverage in 1999. Strong Community Involvement : AIG Canada is dedicated to community causes. Employees are actively involved in many community initiatives across the country. They are a national sponsor for Women in Insurance Cancer Crusade (WICC), and contribute to many other organizations including Habitat for Humanity, Junior Achievement, and the Ride for Juvenile Diabetes Research. Other business insurance solutions include political risk, trade credit, surety bonds, and aerospace coverage. AIG offers complete solutions for individuals and families to help them manage risk. ThinkInsure would be happy to assist you with your AIG insurance quotes. Contact us today to explore your business insurance options with AIG and many other insurance companies in Canada.